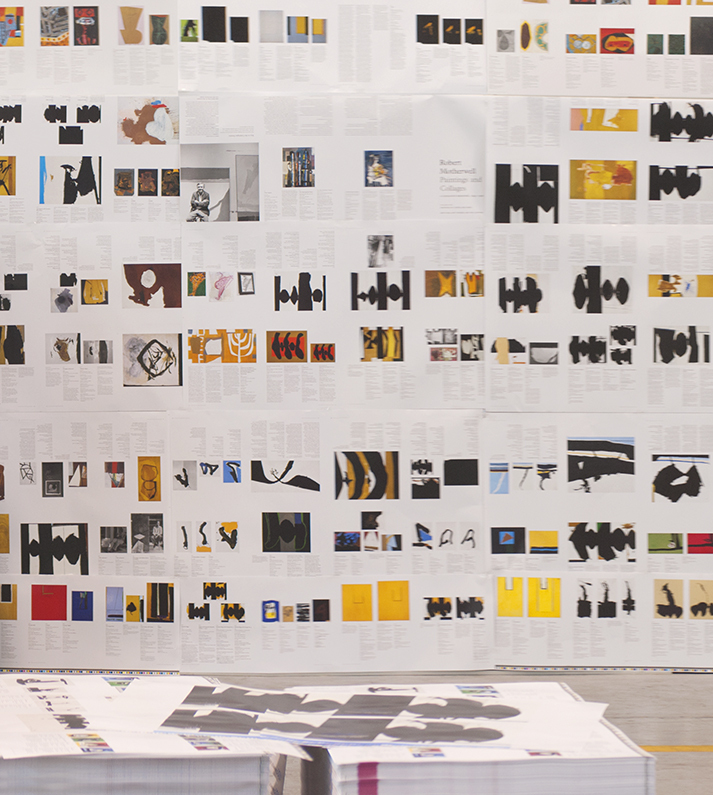 involves ongoing research, documentation, and publications about the work, life, and legacy of Robert Motherwell, with special attention to the catalogues raisonnés of his works. The Legacy Program also develops and supports exhibitions, publications and other educational programs that are specifically focused on Robert Motherwell, and is working on an oral history related to Robert Motherwell and his times. Of particular note are the ongoing updates to the existing catalogue raisonné of Robert Motherwell’s Paintings and Collages, and the additions to the catalogue raisonné of his prints and editioned works. The Foundation is also currently sponsoring the creation of a catalogue raisonné of Robert Motherwell’s drawings. Members of the Robert Motherwell Catalogue Raisonné Project are active in the Catalogue Raisonné Scholars Association (CRSA). Katy Rogers, a member of the Foundation’s board of directors and Director of the Robert Motherwell Catalogue Raisonné Project, is currently President of the CRSA. Published in 2016 in honor of Robert Motherwell’s centenary, this book presents a comprehensive view of his artistic achievement and historical importance. ﻿Each chapter focuses on an important aspect or phase of the artist’s life in relation to his art and explores the many ways in which his activities as an artist, writer, and theorist helped to shape American culture during the second half of the twentieth century. The book contains many unpublished documentary photographs and writings, as well as vivid color illustrations of many of Motherwell’s most significant works. More from the publisher here.